Is Corruption Inherent in Any Organization? The FIFA World Cup Organization is starting to get exposed for what it is – a corrupt little inside network in Zurich. The world’s governing body for soccer inhabits the land of caviar and stretch limousines as a tax-free pretend a non-profit organization that is all about profit. The Zurich-based group stands to rake in $4.5bn from this World Cup alone this time, which far exceeds its initial expectations. It is let the good-times roll in Zurich. They cut deals that have been questionable with allegations of bribes but they are then demanding deals that the enjoy tax-exempt status from a country to get the event. All the corporate sponsor deals go to them and broadcasters from networks. They then head for the next tax-free junket. 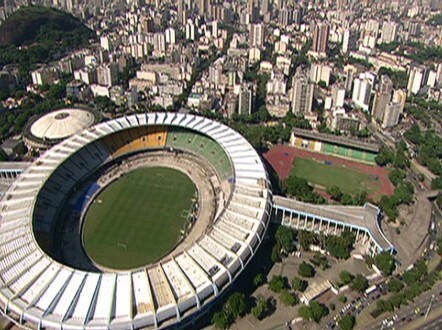 Brazil also is preparing to host the 2016 Olympic Games. However, what has unfolded with the Fifa setting the agenda for greedy, corrupt and loathsome economic behavior, what is emerging is a true social disaster. As people are starting to realize the extent of corruption within Fifa, many are starting to call for its extermination. The question that emerges is corruptions simply a cancer that surfaces from ANY organizational structure be it government or private sector? Fifa’s demands are more akin the strategies attributed to the mafia. Ever since 1998, there has been nothing but scandal after scandal. The latest has been the allegations of vote-purchasing for the Qatar 2022 World Cup. In Brazil, the riots are pervasive. A recent poll by the Pew Research Center found that 61% of respondents felt hosting the World Cup would be a bad thing for their country. The claimed World Cup benefits for Brazil have many people wondering where is the beef. Normal businesses are finding they cannot sell World Cup stuff because that is revenue for Fifa. Then there is the key to this debate in Brazil that is domestic oriented – the spiraling costs of building new stadiums across the country to host matches during the World Cup. That was supposed to cost the taxpayer in Brazil $3.5 billion, but they have seen the costs jump to $4.2 billion. Of this $4.2 billion, which has been funneled into 12 stadiums when Brazil only needed eight to host the tournament, has people really mad. There’s a stadium in the Amazon jungle city of Manaus, which will host four matches and doesn’t even have a first division soccer club to play in it after the World Cup. This is starting to appear more like a corruption feast both run in Zurich and in Brazil. The protests are demanding that all this money could have instead been spent on education, social programs and road improvements. Protests have riled Brazil for months in opposition to this approach to the World Cup by Brazil and FIFA. 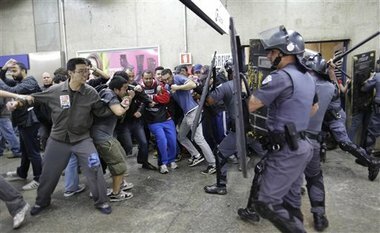 In 2013, riots marred the Confederations Cup, a tournament that is basically a test run for the World Cup. Sao Paolo subway workers are on strike. More demonstrations will likely follow. Meanwhile, Brazil has failed to come through with many of the infrastructure improvements that the country promised FIFA to gain hosting rights for the World Cup. Capital projects remain unfinished. Corruption just seems to be inherent in any organization public or private. It is part of human nature.